At the heart of all our projects in Jordan is the core value of supporting locals and local initiatives. We have strong partnerships with the communities we serve in Jordan, including local clinics, NGOs, and the UNHCR. If you want to donate to any of our projects, please visit our 'Donate Now' page. All contributions are greatly appreciated. RUP strives to make a sustainable difference for refugees and low-income Jordanians. In our community center, we will host classes in English, useful skills, and encourage discussion and making friends. The center will have a focus on women and children who live in Zaatari Village, Jordan. Refugee Utility Project uses local doctors and dentists to visit refugees in their homes. We provide medical checkups, medicines, and medical equipment, such as wheelchairs, insulin, prosthetic legs, crutches and more. 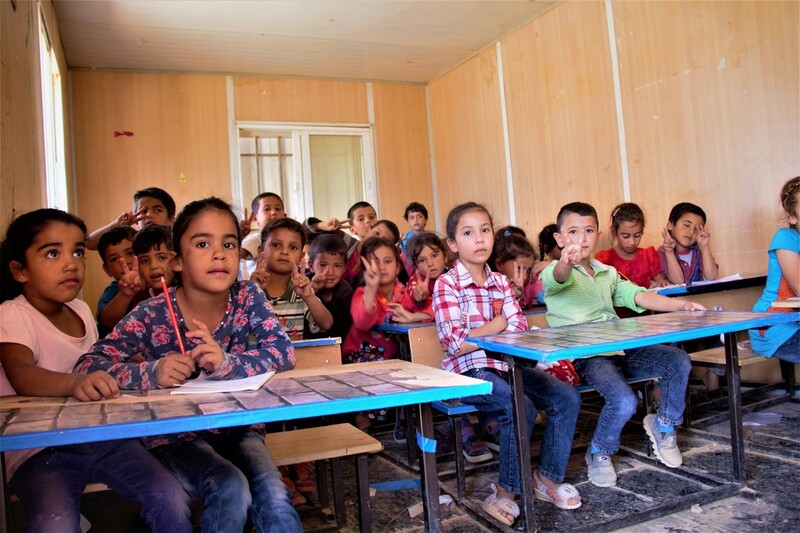 Read about our Rukban school here. 30% of Refugee Utility Project's efforts go toward assisting low-income Jordanian families, especially those who have been affected by the massive influx of Syrian refugees. We believe this work can help ease social tensions and create more stability. ​Food insecurity for Syrian refugees is reaching new levels here in Jordan. We try our best to provide those in dire situations with monthly supplies of food. We also supply other essential household items, for example refrigerators, washing machines, stoves, diapers, and space heaters. It is our hope that these items will make life a little easier.